used for magnetic flux control - concentrating, shielding or modifying. provide a very useful means of achieving defined heating patterns which in some cases would be very difficult if not impossible to achieve by other means. different grades of product to suite frequency ranges from 50 Hz to 1.5MHz. ability to easily machine and bond the material into complex shapes provides a huge advantage over steel laminations and hard ferrites. Fluxtrol flux concentrators reduce the back-path magnetic resistance and concentrate the induced power. In this way the heating can be focussed to where it is required as well as diverting field and therefore heating away from other areas if so desired. 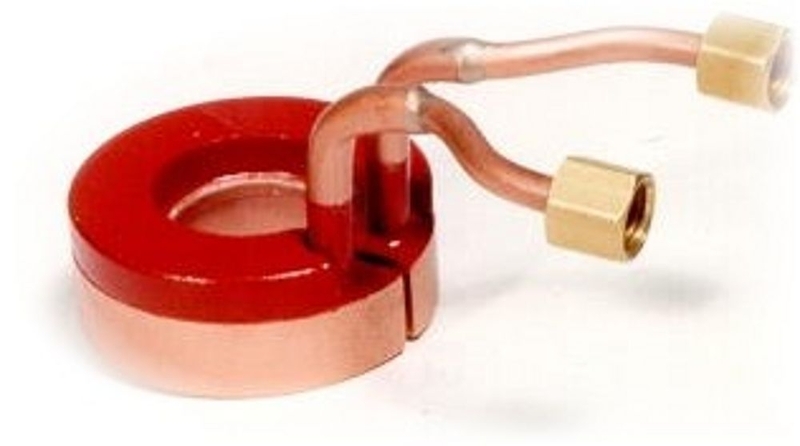 When applied to an inductor (or coil), Fluxtrol flux concentrators allow the heating zones to be controlled. Direct replacement of laminations and ferrites.